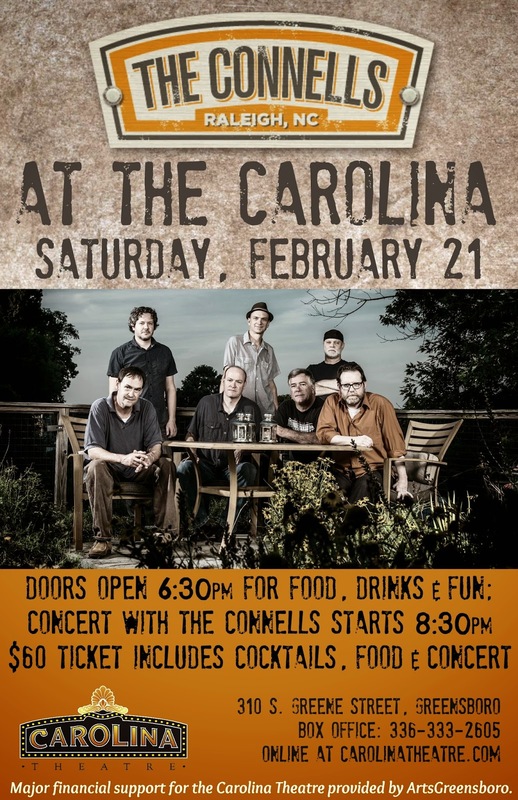 "The Carolina Theatre is pleased to announce “The Connells at the Carolina,” a concert and friend-raising event featuring North Carolina band The Connells on Sat., Feb. 21, 2015. The Connells, the Raleigh, NC-based jangle-pop outfit that formed in 1984, have always had a knack for writing songs with massive melodic hooks, and their concerts bring that to the forefront. Instead of the rustic lilt of their records, the group turns things up live, delivering a terrific rock show. Doors will open at 6:30pm for food and drink, followed by the 8:30pm concert with The Connells. Dress code is casual. Tickets will go on sale Thursday, January 22, at 12:00 noon. Tickets will be available in person at the Carolina Theatre Box Office located at 310 S. Greene Street in Downtown Greensboro, by phone at 336.333.2605, or online at CarolinaTheatre.com. Major financial support for the Carolina Theatre provided by ArtsGreensboro."